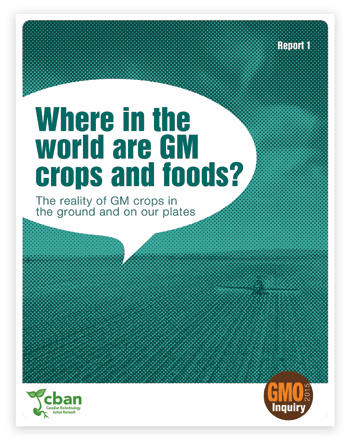 In this first report of the GMO Inquiry 2015, we investigate what genetically modified (GM) crops are grown in Canada and around the world, where they are being grown, how much of each one is being grown, and where they end up in our food system. Where are GM crops grown in Canada: which provinces and regions? How common are GMOs in Canadian food products? How much corn in Canada is GM? I can only find American statistics!